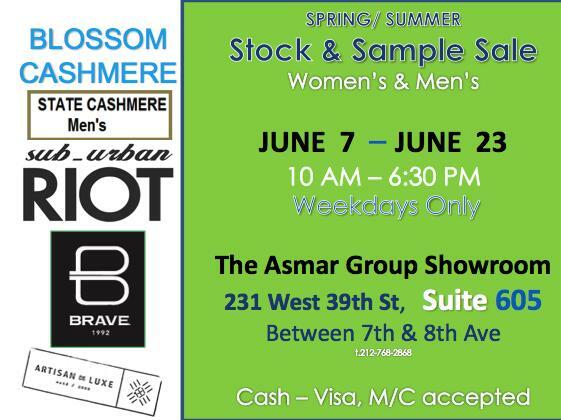 Shop Spring/Summer womenswear and menswear from Blossom Cashmere, State Cashmere, Sub_Urban Riot, Brave and Artisan de Luxe in this showroom sample sale fro Asmar Group! Open weekdays only. Cash, Visa and Mastercard accepted.